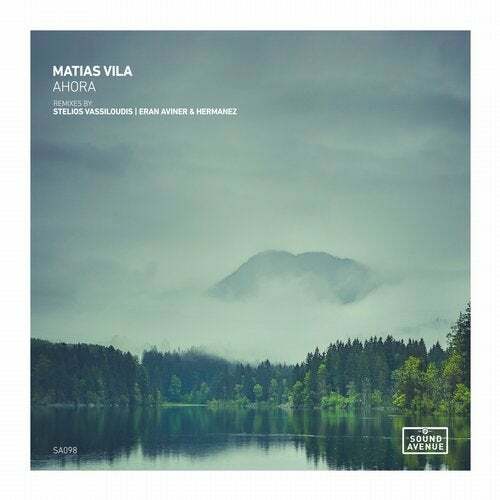 Madloch's Sound Avenue imprint begins their 2019 journey by showcasing new interpretations of Matias Vila's 'Ahora'. Originally released in July of 2018 on the label's 'Summer Sampler', it found the Argentina born, Spain based artist crafting an organic, highly creative production with a myriad of psychedelic concepts. Earning praise from Adana Twins, Audiofly and Kollektiv Turmstrasse, 'Ahora' now gets remade by Stelios Vassiloudis and Eran Aviner and Hermanez for the new year. Stelios Vassiloudis has been a mainstay of John Digweed's Bedrock Records over the course of his fifteen year career, while recent discography highlights also include outings for Poker Flat, Selador and Tenampa Recordings. Now making his much anticipated Sound Avenue debut, the Greek artist takes 'Ahora' into deeper, dubbier territory with fantastic results. Stelios has effortlessly blended warehouse style beats, dub techno and deep house sensibilities for a production that's perfectly suited to a wide assortment of A-list DJs. Timely stabs, luminous tones and percussive flurries build a robust framework, before a well contoured groove locks down a hip swinging cadence. Haunting atmospherics drift in and out of the stereo field, gently elevating the mood, while advancing narration with a series of chord stabs and alien like linguistics. A classy rendition from one of Greece's finest. The second and final interpretation of 'Ahora' finds Eran Aviner and Hermanez presenting their debut collaborative effort. As one of Belgium's most cutting edge artists, Eran Aviner is highly selective in choosing his production projects. His short but meticulous discography is highlighted by appearances on Hernan Cattaneo's Sudbeat Music and Guy Mantzur's Plattenbank Records. Also the co-founder of 'Edge', a leading nightlife brand and record label in Belgium, Eran has shared the stage with Sasha, John Digweed, Hernan Cattaneo, Guy J, Kiasmos and more. Also hailing from Belgium and making his Sound Avenue debut is Hermanez. Perhaps best known for his timeless, tech-soul productions on Mobilee Records, Noir Music, Suara, Traum and his own Aella imprint, the Belgian artist has recently found a place in the deeper, dreamier spectrum of house with an EP on Guy J's Lost and Found Records and a soon to be released project on All Day I Dream. Now pairing up with fellow countryman Eran Aviner, the duo provide a stunning interpretation of 'Ahora' to close the release out. Building hypnotically; warm beats, organic drums and rugged bass tones unite for a highly rhythmic, free flowing framework. Smooth chord changes deliver a subtle yet powerful shift in emotive energy, as astral effects further saturate your senses as the main break commences. Coming to full fruition, the musical narrative evolves through timely modulation, creating a near two minute stretch of effervescent electronics and heartfelt melodic clusters, elegantly peaking and perfectly setting up a rousing finale. A gorgeous interpretation from Eran and Hermanez, rounding out another superb remix edition for Madloch's Sound Avenue imprint.